Happy Spiritual Sundays Weekend. This award was given to both Ginger and me by Ms Daisy at The Daisy Chain for creating this Spiritual Sundays blog. Thank you, Ms Daisy. 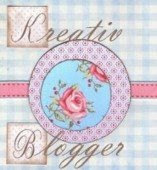 We have so enjoyed being able to use this means to share with you and other bloggers. Last week we had the largest number of people participating since starting the blog three weeks ago. We are hoping that more and more people will find their way here and be blessed as well as blessing others. We appreciate all of you who have put the Spiritual Sundays picture link on your sidebars. I'm putting the linky thingy up a little earlier than usual today. We hope you will spread the word about this blog and we are trusting God to use it to His glory. Congratulations on the award! Spiritual Sundays has been a blessing for me and I hope that it continues to grow and bless others. Congratulations on the award! Have a great weekend! I will try to get the Spiritual Sunday picture in my side bar as soon as I can figure out how to do that. Thank you for the Spiritual Sundays blog. It is a wonderful opportunity to read other thoughts. Blessings and Big hugs with CONGRATULATIONS for Spiritual Sunday to you Ginger & Charlotte! Ginger and Charlotte, congratulations on the very pretty and most deserving award. Me and Mr Linky didn't communicate well on my first try this week. My second entry is correct. Do you have a way to delete my first one? Congratulations on your award! Thank you for Spiritual Sundays! What a blessing they are, sometimes during my week I pop in to reread some of them :). I'm new to this, but I enjoy GodChaser's site so I found you from there. The Lord gave me poem last night while I was in bed and I have worked on it all afternoon as an act of worship to Him. I'll hope you enjoy it. Congrats on your award and thanks for an opportunity to share my creativity and worship of my Great and Awesome God! !